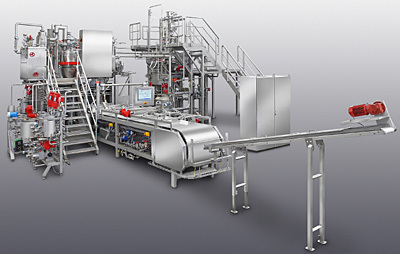 The WDS-Moulding plant type 372 is designed for the production of solid chocolate products with or without ingredients and filled products by means of One-Shot- as well as Triple-Shot technology. 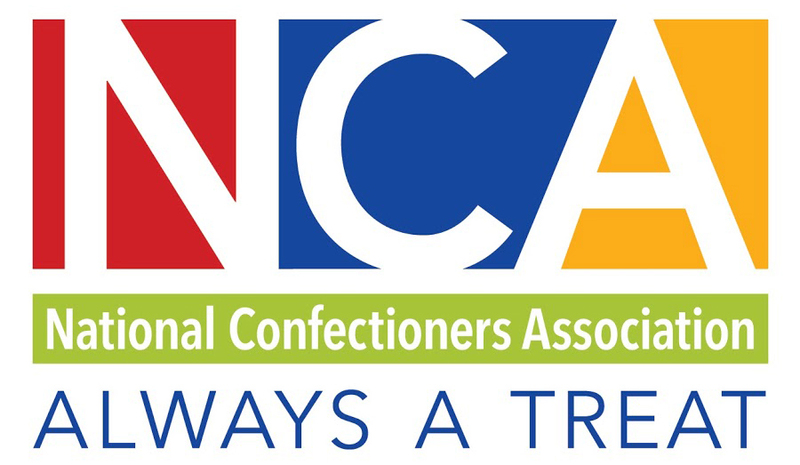 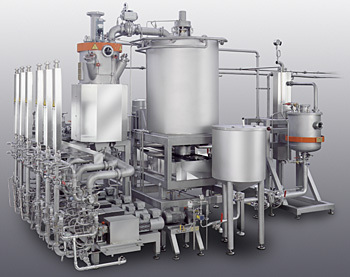 Plant for the manufacture of all starch-moulded products such as jelly and gum (on pectin basis, gum arabic, gelatine, agar-agar, carrageenan) as well as liquorice, fondant, cream, marshmallow foam and similar items. 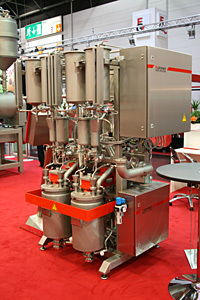 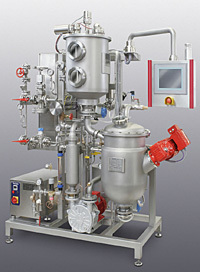 Furthermore, the equipment is suitable for depositing liqueur. 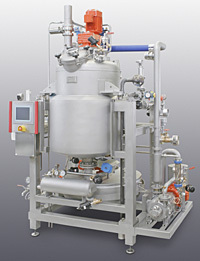 The WDS Candy Wizard Type 263 is a compact, modularly designed plant for the manufacturing of hard candies. 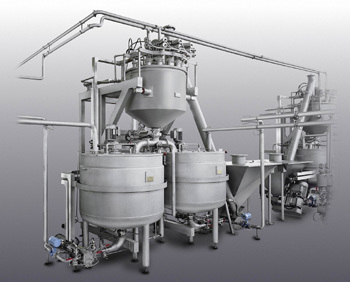 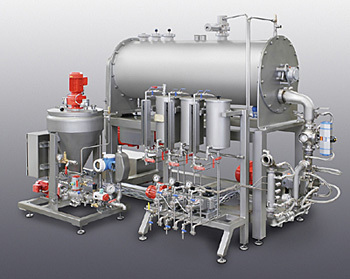 The compact, modularly constructed depositing plant, type 165, is designed for the production of fondant, toffee, pectin and carrageen products. 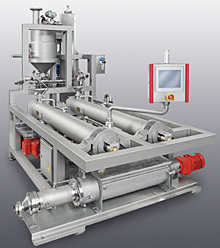 The extruder type 352 with secure functions and an appealing design has been developed especially for the depositing of all high-viscous masses. 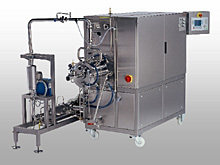 The new extruder generation is alternatively available with a piston metering system or with a pump system designed to produce ropes. 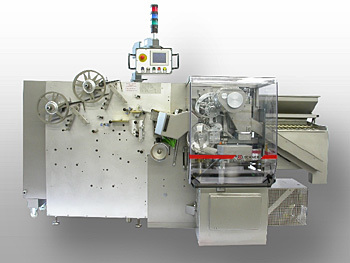 It is basically possible as well to combine several extruders with other WDS machines, such as depositors for chocolate bottoms or a nut-depositor. 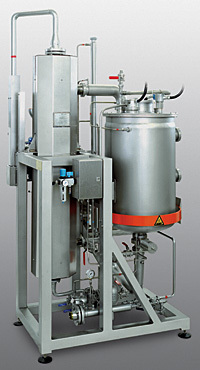 The machines can then optionally be synchronized through a camera-driven system.